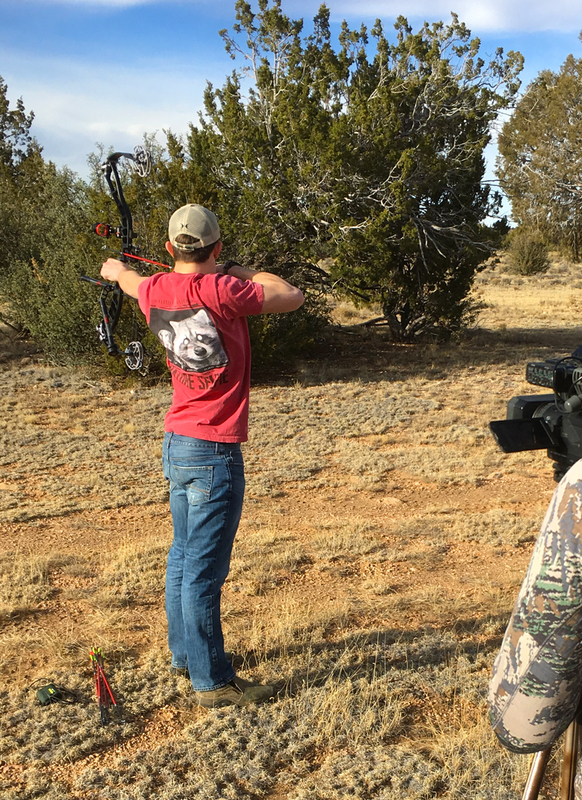 James taking some practice shots as his father films. 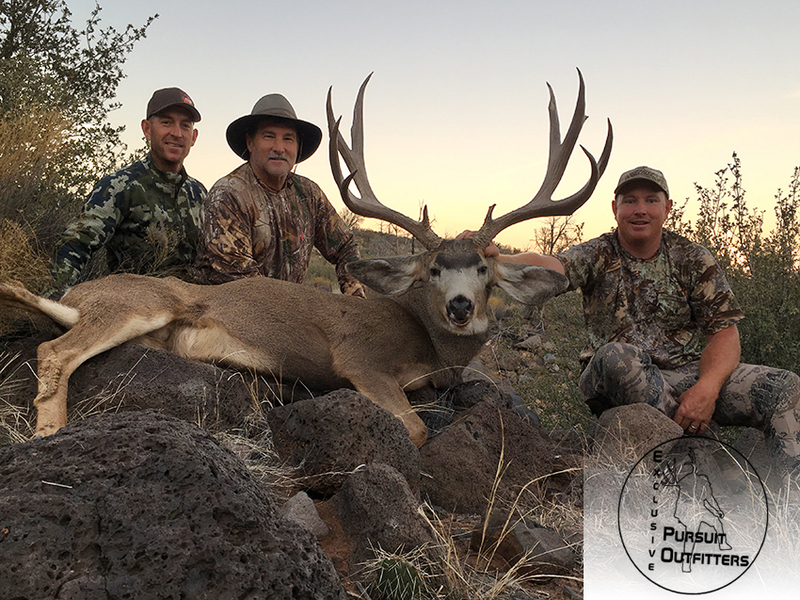 James Schulz came to Arizona to hunt trophy mule deer & his father, Kurt, eagerly joined his son on this trip. 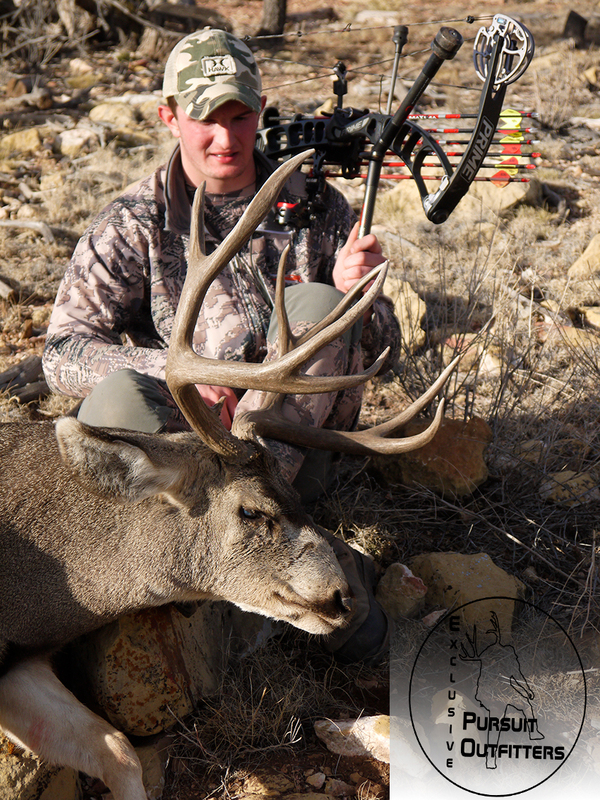 Being prepared is everything when it comes to the ultimate bowhunting challenge & James proved he was up for this test! 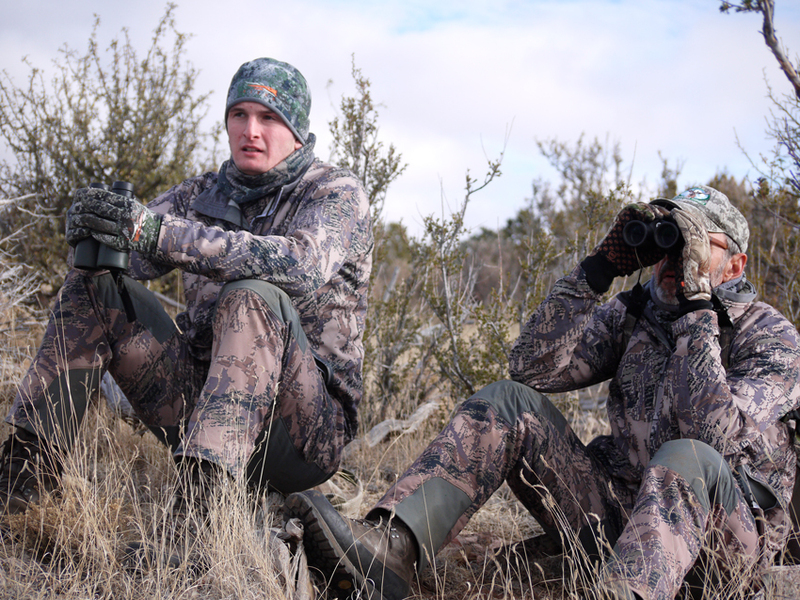 James & Kurt Schulz looking over some mule deer while on the first day of his archery mule deer hunt. Watch the video below! 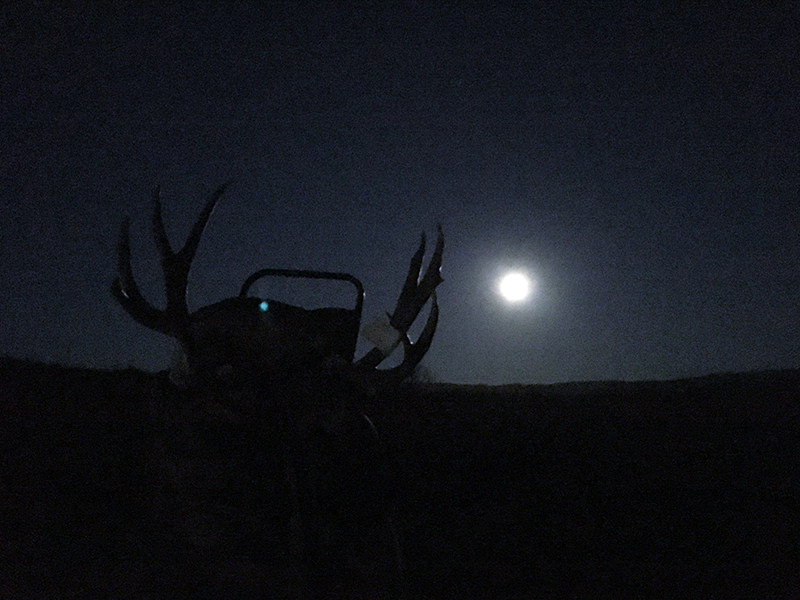 On the second day of we glassed up a group of deer & finally picked out an old trophy mule deer. 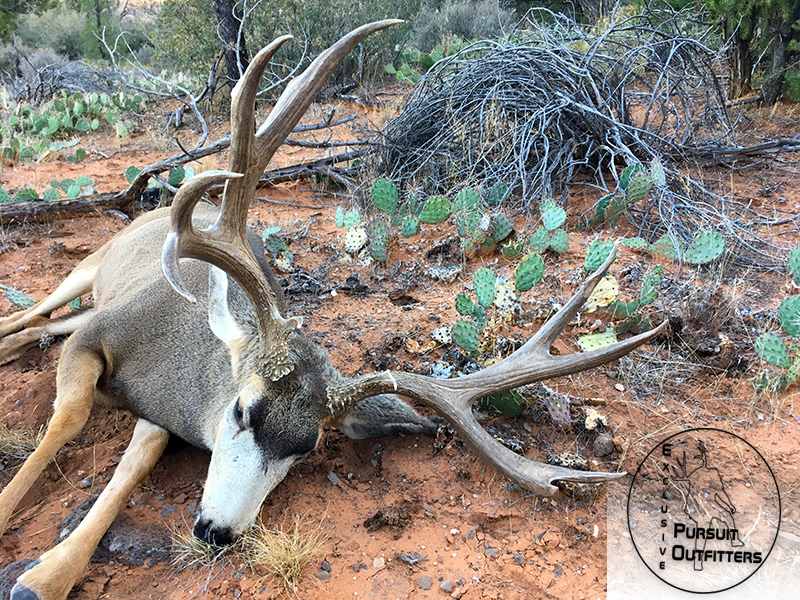 James & the crew made their move after the big buck & does shaded up for an afternoon nap. 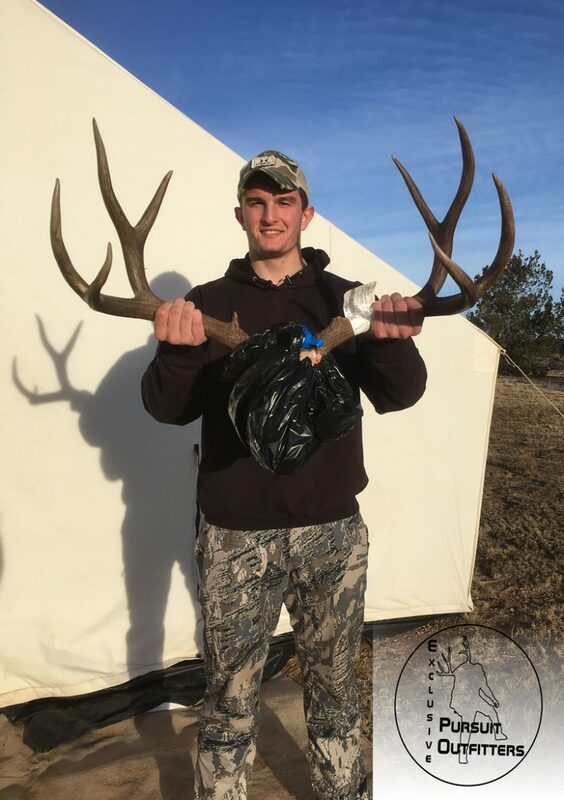 As they approached the last known location of the bedded deer they found themselves at less than 15 yards from some of the does. 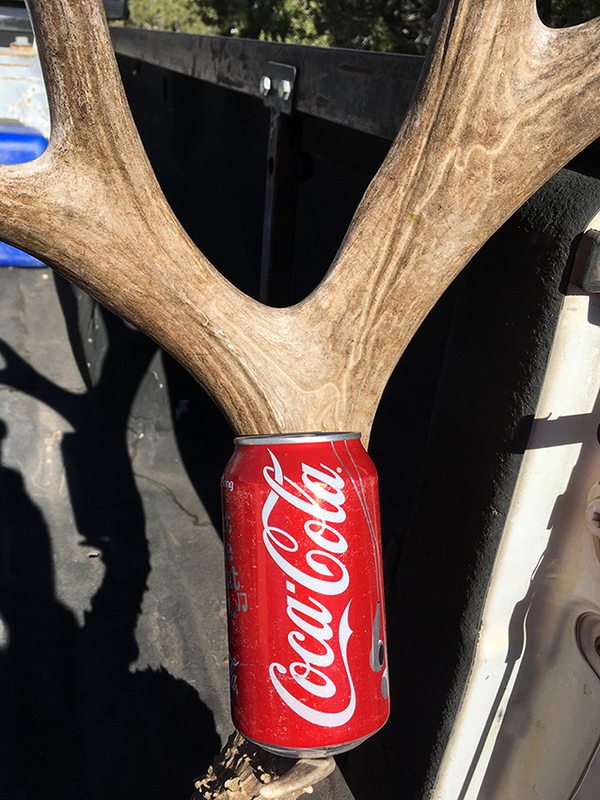 The old buck slipped through an opening, but James was already drawn back. 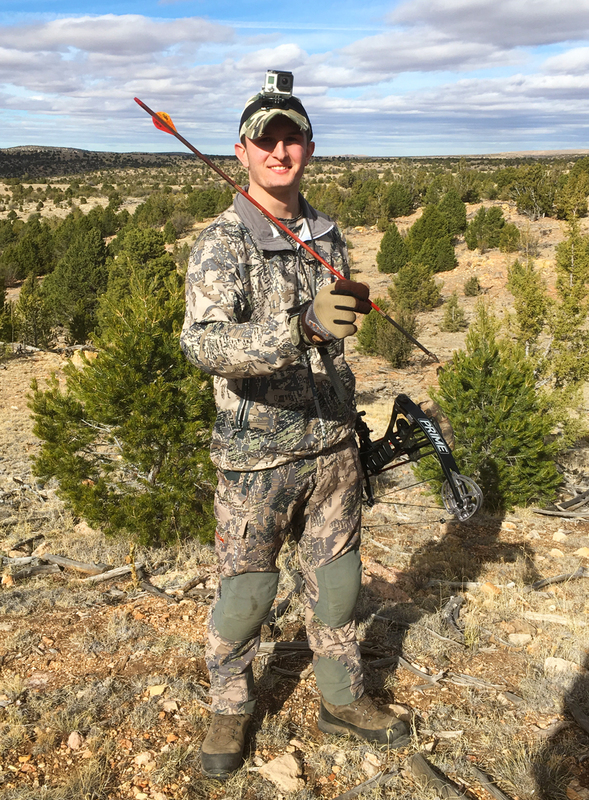 James made a great decision to step to his right & made a solid archery shot at just over 30 yards! 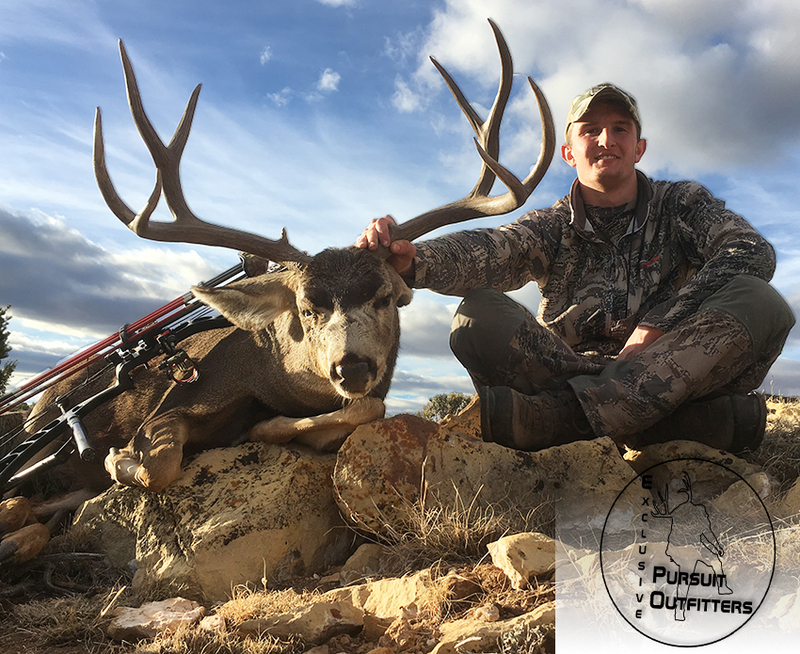 James holding his RED arrow after making a great archery shot on a beautiful old trophy mule deer. 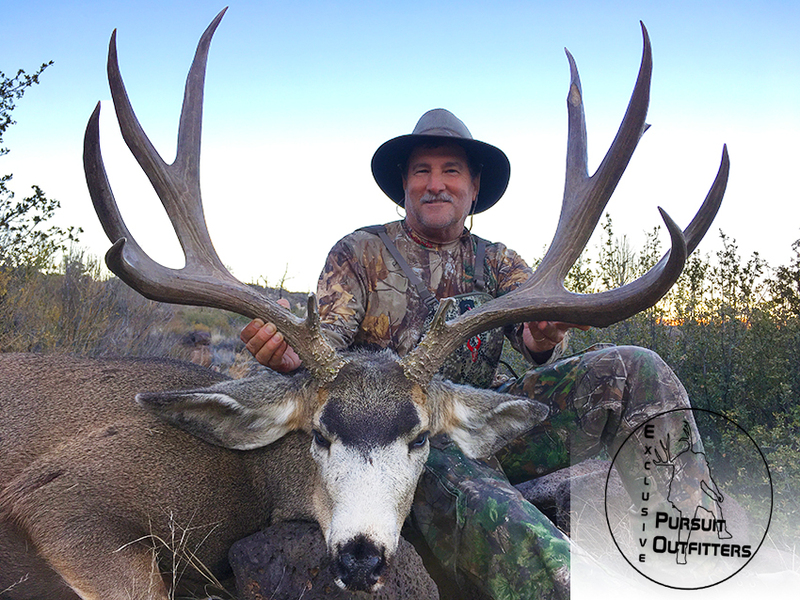 James with his 175″ over-the-counter Archery Mule Deer! 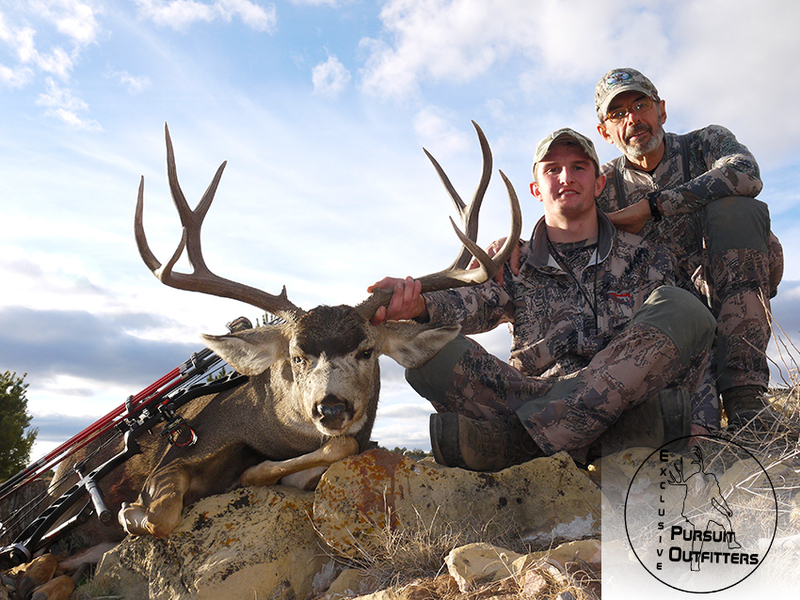 Father & Son with a true trophy archery mule deer! 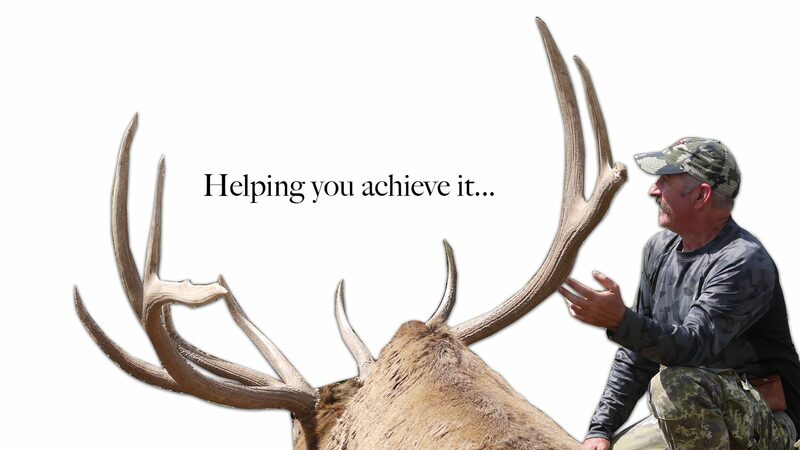 Capturing the moment after taking a trophy mule deer with archery gear. 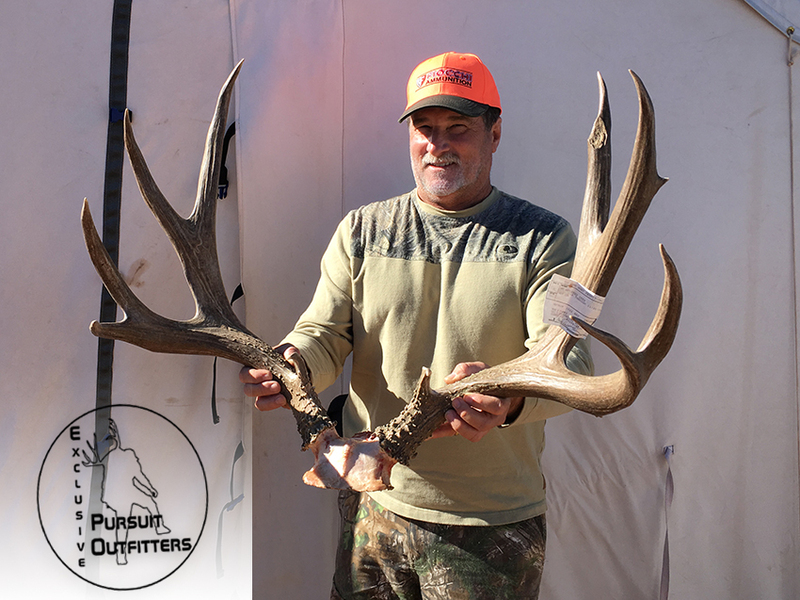 James admiring his archery mule deer, which was old, 29″ wide & over 175 inches! 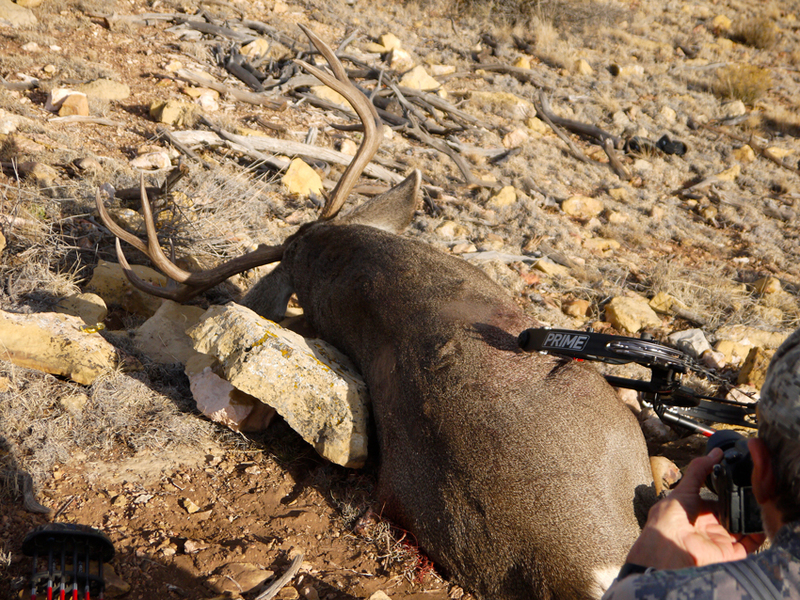 We have Archery Mule Deer Hunts available every year & you do NOT have to wait to draw a tag!